Avada comes with multiple demos that can be imported with one click, through our demo importer. This method relies on the proper server configurations, so please check the System Status tab to view any areas of concern, that are marked in red. There could be rare occasions when the importer will not work, and you need to try an alternate method. Please read below for information on how to import demos through our alternate method. IMPORTANT: When using the alternate demo method, after importing a demo you must load the Fusion Theme Options Panel and save it! See Step 9 below. Step 1 - Install the required and recommended plugins for the demo you want to import. For example, Fusion Core, Revolution Slider, Layer Slider and others that may be listed. 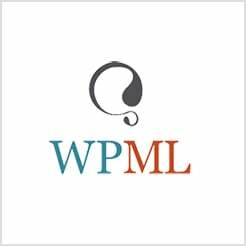 Step 2 - Install and Activate All-in-One WP Migration plugin. Step 3 - Below is a list of our demo backup files. Download your desired alternate method demo backup file to your computer. Step 4 - Navigate to the All-in-One WP Migration > Import tab on your WordPress admin sidebar. Step 5 - Click on the Import From button, and choose File. Select the demo backup file you've just downloaded. Step 6 - Once your import is finished, you will receive a warning that says the import process wil overwrite your entire site database. Click the Continue button to proceed. Step 7 - You will receive a success message once you've successfully imported the data. Click the 'Close' button to return to the plugin page. Once logged back in, you can change your username/password back to your unique credentials. Step 9 - Navigate to Avada > Theme Options and click SAVE CHANGES to ensure the styles are set properly. All done! WARNING: Your site database will reset entirely using this alternative import method. If you experience any issues with the import, such as broken styling and the like, please view our Frequently Asked Questions section below. You must be logged in and have your Avada purchase code registered in order to download the alternate demo method files. To create an account and register your Avada purchase code please follow these instructions. 1) My demo pages have styling issues. How do I fix this? If you're experiencing styling issues, such as incorrect fonts, broken columns or unaligned sections, this may be because the Theme Options haven't loaded properly. Fortunately, this is very easy to fix. Go to the Avada > Theme Options panel, and refresh the page. After refreshing the page, re-save the Theme Options panel by clicking the 'Save Changes' button. You don't need to change any settings. After that, don't forget to clear all your caches. If that doesn't work, try going through the process of refreshing the Theme Options panel and resaving it. If you're still experiencing issues after one or two tries, please don't hesitate to send us a support ticket. 2) My menu item links are returning 404 errors. How do I fix this? After importing a demo using the alternate method, you'll need to re-save your permalinks. To do this, go to the Settings > Permalinks tab on your WordPress admin panel. Once there, click the 'Save Changes' button at the bottom of the page to re-save your permalinks. After that, don't forget to clear all your caches. If you're still experiencing issues, please don't hesitate to send us a support ticket.